The church has many different forms and that is a good thing, for Christianity cannot be fully expressed in any one denomination or congregation. 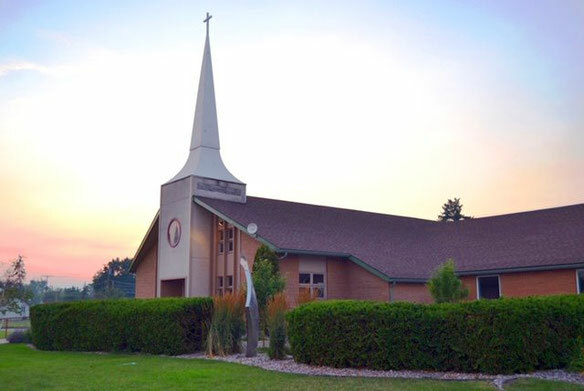 Good Shepherd Lutheran is one group of Christians who worship, learn, serve and proclaim the Gospel of Jesus Christ with genuine joy. We are Lutheran Christians who respond to God's gift of love with grateful actions. We enjoy being together as the body of Christ, we care about nurturing the growth of faith of all people, and we reach out as Christ's Hands to many in need. We sincerely invite you to look at the variety of activities and ministry opportunities listed on this website, and join us in as many as you choose. All of us are constantly being called by God to a deeper faith relationship. While we could pursue this alone, seldom does it happen in isolation. It is when we gather together that the encouragement and inspiration of faith, in its many forms, becomes an important rhythm of life. Come and claim Good Shepherd as your community of faith! "Growing in grace for 106 years!" 9:00 a.m. 10:00 a.m. 8:00 a.m.